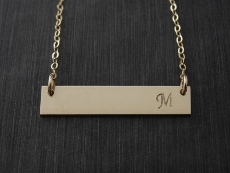 A 14k gold filled bar is stamped with your favorite font and then hung on our gold link chain. Choose from 4 different fonts, block, lowercase, William or Perfect Penmanship. 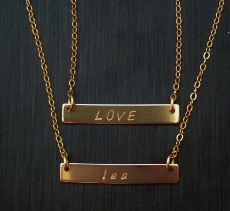 To order this item, please select a style, font, and length of chain. Then click Add to Shopping Cart button.